This actual Clavinet® is from legendary Philadelphia soul factory, Sigma Sound Studios and was used on tons of hits in the 1970s by producers Thom Bell, Gamble and Huff, and countless classic hits from artists including the Spinners and David Bowie. 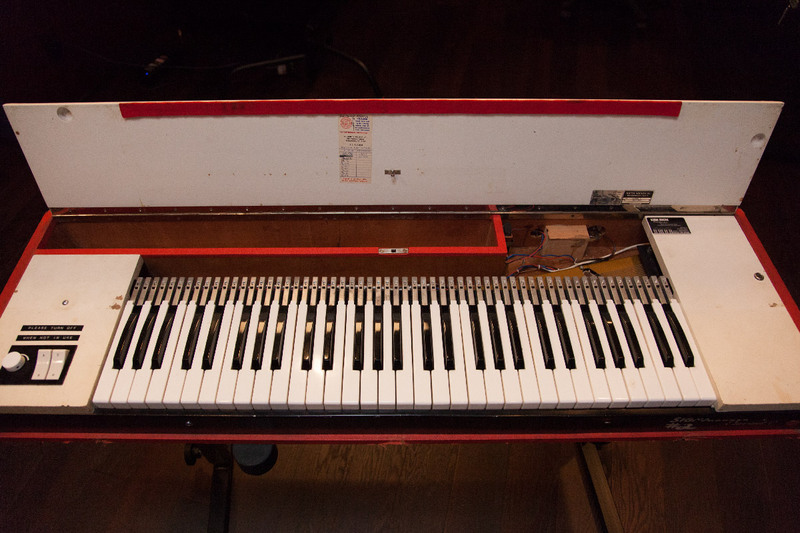 The Hohner Clavinet® was originally designed by Hohner staff designer Ernst Zacharias as an electric clavichord for early European classical music and 1960s folk music. However, when Stevie Wonder used the Clavinet® C on his mega-hit “Superstition,” it became an instant mainstay in 1970s Funk, Soul, R & B, and Rock. Unlike the more common D6, the Clavinet® C has fewer electronics and a punchier sound. We believe this is the first time this model has ever been sampled and modeled in software. Essentially an electric guitar with keys, the Clavinet® is an electro-mechanical keyboard, with two single coil pickups. The keys cause polymer-tipped hammers to strike the electric guitar-like strings, pushing them abruptly into contact with a metal bar which serves as a fret, causing them to sound. We painstakingly recorded this famous Clavinet® C using the original strings through a customized pre-amp configuration. 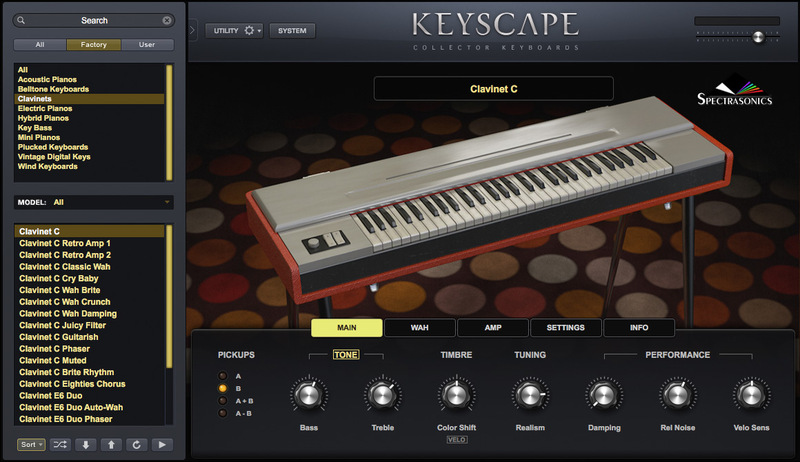 Keyscape’s patches include fantastic Cry Baby® Wah emulation, extensive amp modeling, and extensive release noises that preserve all the grit and grease of the original unit.